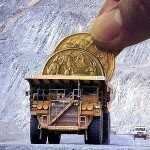 The mining software specialist is already recognised in many parts of the world. Where are the company’s growth ambitions taking it next? After using a number of Weir Minerals products, Pattison Sand wanted a custom designed plant capable of producing more than seven materials. 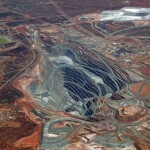 Rising investment in Western Australian mining projects and record sales in 2017–18 could see the mining industry return to the conditions of the mining boom, according to research from IBISWorld. Newmont Mining has secured a $US10 billion ($13.9 billion) acquisition of Goldcorp in a deal that will form a world-leading gold producer. The equation looks simple; the supply of graphite is tightening, while the demand is currently forecast to skyrocket. Tom Revy discusses the market environment in the graphite industry. Northern Star Resources has taken control of operations at the Pogo gold project in Alaska, United States after completing its acquisition of the asset. The Commonwealth Scientific and Industrial Research Organisation (CSIRO) has extracted and produced gold using a non-toxic chemical process free of cyanide and mercury use. South32 has completed a $US1.3 billion ($1.8 billion) acquisition of Arizona Mining, paving the way for it to develop the Hermosa base metals project in the United States. Caterpillar has manufactured and delivered its 50,000th articulated truck. It is the third truck milestone for Caterpillar this year, following the 5000th 793 mining truck and the 1000th 797 mining truck. Syrah Resources has signed a purchase agreement for an industrial site for its planned battery anode material (BAM) development in Louisiana, United States. 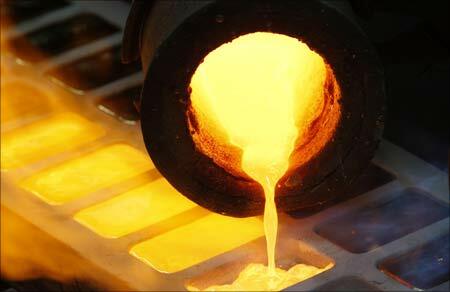 Global gold demand has dropped 7 per cent in the first quarter of 2018 due to weaker investment, according to the latest trends report from the World Gold Council (WGC). Fields results show that the new Vulco R67 mill lining rubber compound from Weir Minerals delivers an increase in wear life of 20 per cent. A global tax expert has warned that Australia is ill-prepared to deal with the global implications of the United States administration’s company tax reform. BHP has joined the industry trend of lifting returns to shareholders by significantly increasing its dividend for the first half of the 2018 financial year. Global gold mine production finished 2017 fractionally higher than the previous year, according to the World Gold Council (WGC).